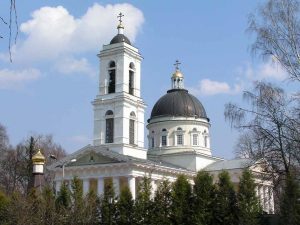 Cathedral of Saints Peter and Paul in Gomel. 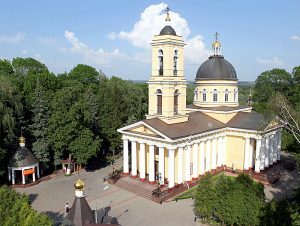 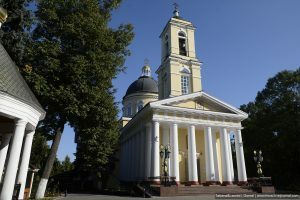 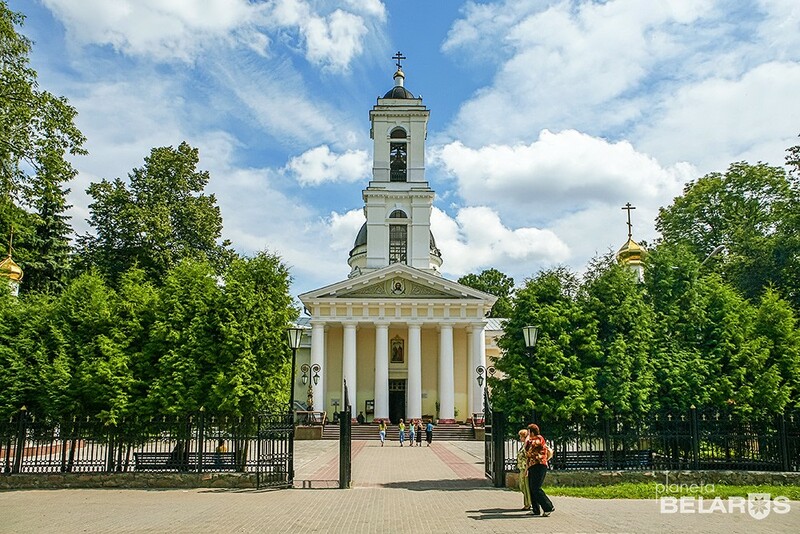 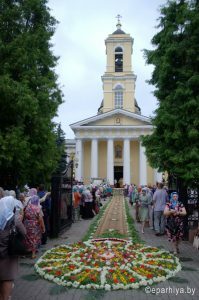 Gomel Cathedral, built in 1809-1819, is the main shrine of the city. It was consecrated in 1825 in honor of the apostles Peter and Paul. 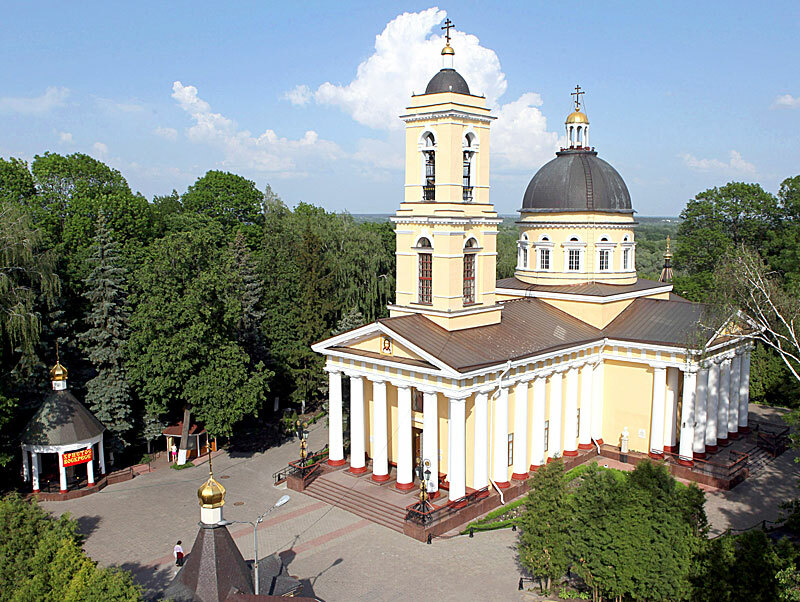 The temple is located on a high promontory, formed by the Sozh River and the Kiev Descent. The Cathedral of Saints Peter and Paul (Petro-Pavlovsky Cathedral) was built in the style of classicism, initiated and financed by the owner of the Gomel estate, the State Chancellor, Count Nikolai Rumyantsev, in the context of the general upsurge of the country, his own successes in the state arena, so this building was given the features of majesty. 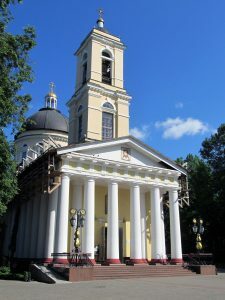 The author of the temple project was the English architect John Clark. 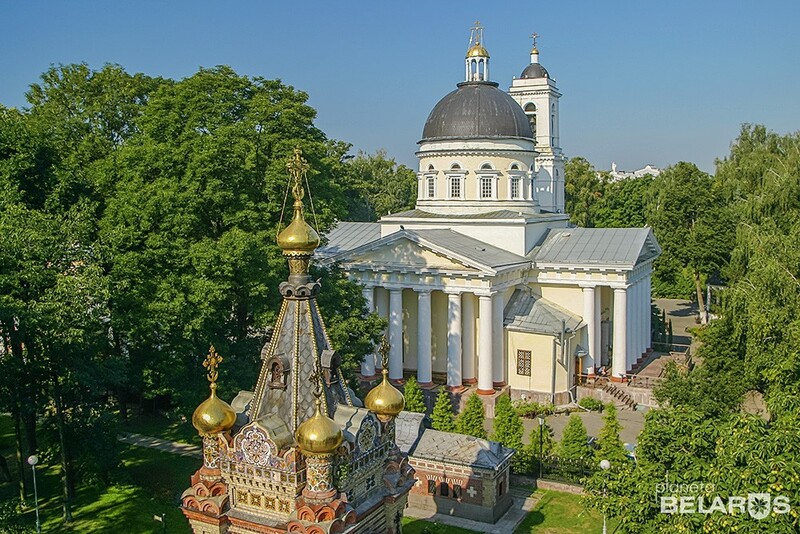 In 1935, the department of the historical museum was located in the Petro-Pavlovsky Cathedral, and in 1939, before the Great Patriotic War, the anti-religious department was located. 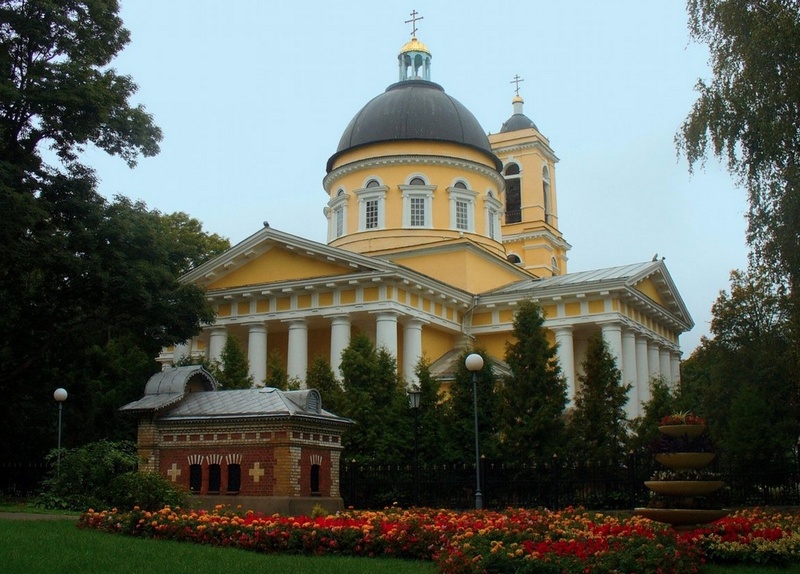 During the German occupation by the efforts of Archimandrite Seraphim the cathedral was opened. 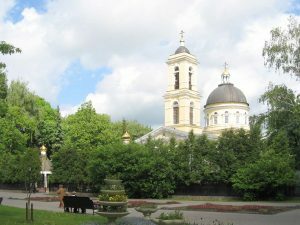 His activities continued until 1962. 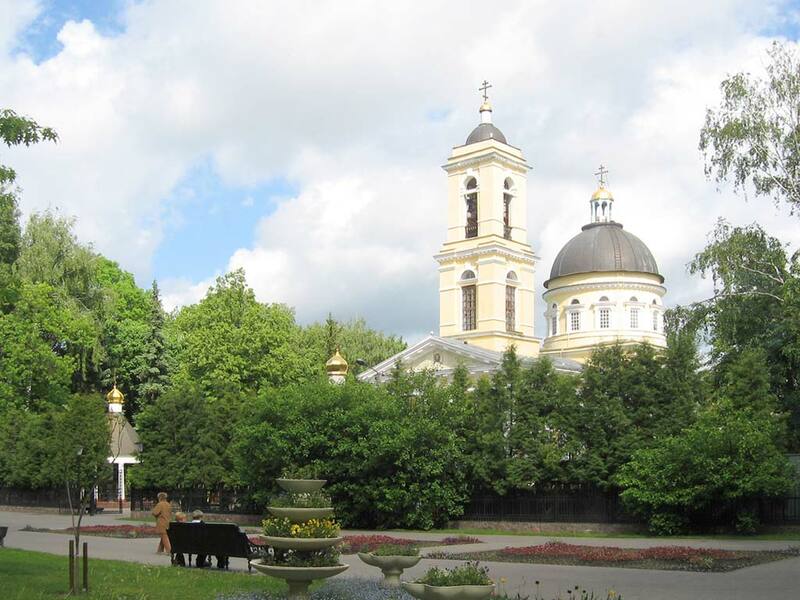 From the same year until 1985, the Gomel Planetarium was working in the building. In September 1989, the Cathedral of Saints Peter and Paul was returned to the Orthodox Church. Now in the temple there are Orthodox shrines: parts of the relics of St. Nicholas the Wonderworker and the Prophet John the Baptist, the Holy Cross with a part of the life-giving Cross of the Lord, the power of the locally revered Saint Manefa of Gomel.